I’ve played Legacy here and there over my years in competitive Magic, however at the start of 2017 I decided to make the commitment to enter the format and become the proud (but much poorer) owner of a Legacy deck. By nature I’ve always been considered a control player by my peers, and to most extents that’s true. Czech Pile was a deck that propped up to fight the Miracles demon that was dominating the format pre-Top ban, and I’ve piloted and attempted to develop the deck for the Melbourne metagame ever since I made the decision to pick the deck up. The core of the deck is typically a BUG control deck with everything you would generally want to see when trying to execute this particular strategy, but plays a tad greedier into Red for the added weight of Kolaghan’s Command and Pyro/Red Blast from the board. Other versions I’ve looked into have tended to lean heavier into the splashes of Green/Red by adding such cards as Grim Lavamancer/excess commands/Golgari Charm/Sylvan Library. The sideboard looks like something you would see in a Modern Jund list in how it interacts with your maindeck, trying to leverage the “air” in the sixty being exchanged with high impact cards in the fifteen, making your post-board matchups generally always adding a higher percentage to your deck than your opponent’s in terms of card power and efficiency. I will say that there is a tonne of pressure on your Brainstorms in this deck. Having such a spread of wide answers comes at a cost, and makes aggressive Brainstorming very costly if you’re unsure about what the opponent is planning to do or if you’ve got the wrong read. The amount of Show and Tell that was going to be in the room. 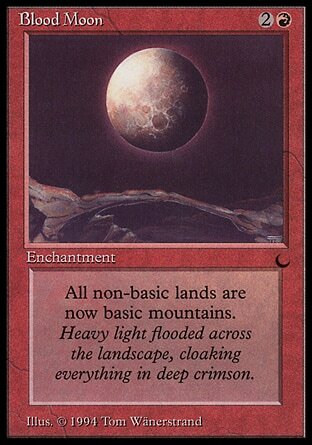 The amount of Blood Moon archetypes that were going to be in the room outside of Show and Tell. These decisions weighed onto the final list quite a bit. I ended up shaving an excess Lightning Bolt for a Snare and moved the second Abrupt Decay to the sideboard, whilst also keeping the basic lands in the main deck to attempt to play around Moon decks. I opted for the Deluge main deck over Engineered Explosives as well. I toyed and tested with excess Hymns across the main and side, having a 2/2 split for a while. I soon found excess copies main deck to be detrimental towards both your better matchups and taking too much ground away in the sideboard. 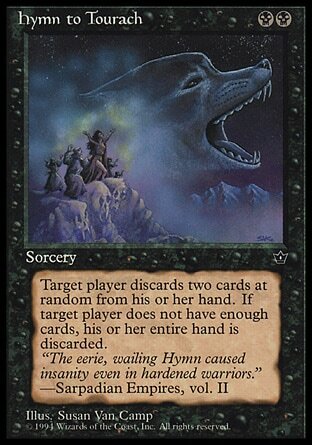 I hence added a second Thoughtseize main deck to replace the fourth copy of Hymn in the board and this seemed to solve the issue. 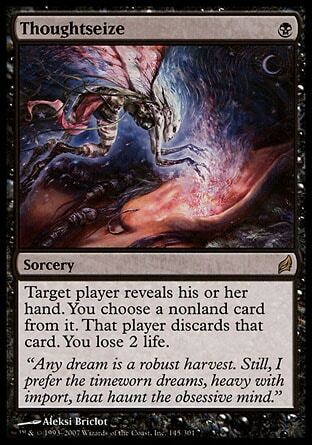 Although small it certainly felt like it helped smooth the deck’s mana requirements and made the game play out right. This is generally an extremely difficult matchup; not being able to pressure or attack on the angle that ANT is susceptible to and having many dead cards main deck makes for an almost unwinnable game one. The addition of the Thoughtseize and Snare helps somewhat, but not having the excess Hymns main deck stung immediately. Michael is also no slouch, having crushed me repeatedly every time I’ve sat down to play Magic with him. Fighting ANT with this setup requires hand disruption to be on point and available to cast and Leovold to come down ASAP. Leo puts a real hurt on the Storm by taking away all cantrips and keeping you stocked with cards in hand to interact with opposing hand disruption, all whilst providing a slow ticking clock. Postboard the deck cuts air and gets down to business. Bolt/Push/Decay/Command are all embarrassing when you’re trying to play Magic and your opponent is not, however requiring an answer for Empty the Warrens is essential. I’m no expert on playing against Storm but my deck gave me the high five and my opening hands allowed me to be proactive with hand disruption on queue and resolve Leovold early in both games, shutting off Webb’s ability to manipulate his deck and find the key pieces to close it out. Surgical is also an all-star, helping to remove crucial pieces from ANT’s game plan. A favoured matchup; any deck that’s trying to play fair Magic generally is. Command and Decay check any equipment and are always at top efficiency. You can get gotten by True-Name as any deck can be, but you’re still live to fight with Edict and Deluge in the main deck. Playing around Daze is required in spots, but don’t be too scared of Stoneforge when your deck’s filled with answers. Your deck is designed to play a longer, more interactive game than the Stoneblade decks, and every creature in your deck outside of Deathrite is almost always worth two cards minimum. Jace sees the deck out most of the time, we all know what he does. Just playing longer Magic and making the correct decisions is the key. A fellow Jerry! NO! Ah well, pairings can get you. Chris is a team member of mine and quite the Magic player. The guy’s always had success when picking up decks that require getting Eldrazi titans into play, but upon sitting down the confidence felt like it was definitely in my corner. Play testing the night before had revealed poor results for the Show and Tell stack. You’d assume this is surely a bad matchup; and the air in the deck can get in the way and sometimes Show and Tell insists that it wants to Show you something much better than what you’re capable of handling. However, personal results have shown that you can absolutely handle the damn thing. Strix is slow and pressure is hard found, but having assistance from Ancient Tombs from the other side of the board and them not being able to attack your hand before trying to get a fatty into play plays a big part into defeating the deck. There is also definitely something to be said for gamesmanship in the matchup, you have to tap out when you have to, playing Strix is generally correct on turn two (feels bad man) and confidence is key. Sideboarding once again you cut air and getting more aggressive with your disruption and countermagic. 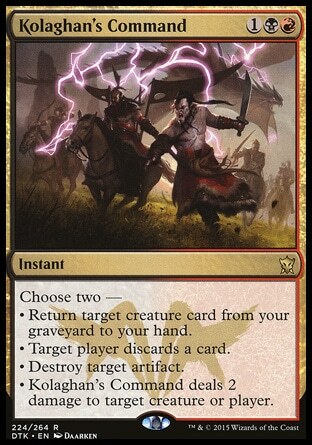 Clique is an absolute house and your extra four one cmc counterspells pull their weight. You do have to be careful about Blood Moon, but I’ve found through testing the matchup quite a bit that it’s typically not as effective as first perceived; Chris even opted to not bring them in against me game two, knowing that from games played previously it just wasn’t as good as we both assuredly thought it would be. Your basics are key, obviously, but you cut all your the Red cards outside of the Pyroblasts that you bring in. Similar to traditional Show and tell, the matchup is unfavoured game one. The air can get in the way and you do really want to find those nice additions to the main deck like Thoughtseize that was mentioned in the initial deck discussion. Nicholas apparently slayed many a foe in the Vintage portion of the weekend the day before, so I was aware that we were in for a match, and what a match it was. Nicholas was very insistent to Show me tentacle-god game one, but when I Forced the issue back on Nick to play fairly, he turned dirty and snuck the Annihilating queen into my face anyway and closed the game. Post-board I opted for the same gameplan as traditional S&S despite him being on the Omni-Sneak hybrid, having not played against this iteration of the archetype nearly as much. I stuck to my guns that efficient hand disruption and cheap counter magic was the way to go. Turns out it was. The sideboards from Chris, my previous opponent, and Nick widely varied. Nick brought in Engineered Explosives/Grim Lavamancer and Blood Moon to combat my gameplan. This was my first time playing against Elves, and I felt like it was my first competitive tournament again, reading a bunch of cards to re-assure myself that I understood what each card did and trying to understand what the hell John was trying to do. I divulged that this match was going to be close, and writing this article now it has to be, Elves is dope! Removal spells ho! Elves died in droves game one as the deck decided it would give me a helping hand and keep the interaction up until I was able to get Leovold into play, really hampering the Elves deck before John had enough. Sideboarding in game two I treated this as any control vs. creature matchup and cut my counter magic in place of creature removal in Explosives/Casualties/Decay and some amount of Edicts. This was a big mistake, and after being promptly squashed, game three was underway. Game three we managed to find the pieces required to keep the board clear and countered the Glimpse that I had forgotten was the glue of the deck. The longevity of the deck really came to shine in this game; being able to get high value from Snapcasters was absolutely vital to getting through the match with a life total still intact. Now I’m not entirely sure about the overall sideboard strategy of the matchup, however this is where I ended up game three, much better than the game two shamble where mistakes were definitely made. I’m also not entirely sure what changes between play and draw, so please excuse my inexperience in the matchup. Steve’s a good friend and one of the pillars of the Melbourne Legacy community. The Salt Mine king is also quite a decent Legacy player when it comes down to it. We’ve always had good banter and it was a good time to get some food and recharge before the Top 8. With only three players at 5-0 we were safe for the ID and a good time was had. The Team Australia deck list forgoes the Therapy/Pyro combination in the Grixis Delver main deck for cheaper counterspells and the use of more Delve creatures. I believe Sean Brown plays more Gurmag Anglers, where Steve leans towards Tombstalker. In any case, this is certainly a reason to play the 4c Control deck. A nightmare for Delver decks, we are far slower and Strixes are everywhere. Without the combination of Pyro/Therapy I believe the deck loses a ton of its edge against the 4c deck. It feels very hard for Delver players to successfully beat the pile with any reliable success – testing with Bren Jay made it very clear that without Pyro/Therapy the deck was out at sea. There is little to sideboard for the Delver matchups; your maindeck lines up efficiently to start with, and sideboarding just involves increasing your efficiency. Generally it’s not even air: it’s just Force and hand disruption for Decay/Edict/Explosives/Blast/Casualties. The variants do matter, however, as each Delver matchup has its own specific angle and therefore weakness to exploit. Now, Lewis Adams is a life friend of mine, and a decent Magic player. The guy’s got a knack for the slower durdle, so Shardless suits his playstyle just fine. Lewis crashed at mine the evening before, and was lent the outdated deck by a mutual friend; Bren Jay and I updated the deck to where we perceived the deck should be in the meta, and proceeded to play some matches against Lewis. That was the first Legacy Lewis ever played, and he was sitting 6-0 at the top of a ninety-man tournament opposite me! A super awesome accomplishment to the guy and a huge shout-out to one of my best mates, I really hope this relights the fire! I had the option of bashing due to being where I was positioned, but opted to take third or second place in the Top 8 depending on defending champ Patty Robertson’s final match outcome, and just enjoyed the scene. My team members of the Salt Mine and the Jerryboree were littering the top tables all looking to finish strong, and they didn’t disappoint. I had the pleasure of watching Jerryboree teammate Saher MK take a sledgehammer to his Lands opponent with Infect and Bren Jay make a final run to the Top 8 with his Grixis Delver, pushing Omni-Sneak opponent Nicholas Chmielewski down the ladder. Shardless is a deck that is all about trying to accrue value through powerful effects such as Cascade/Ancestral Visions and Lilliana of the Veil. But Baleful Strix lines up so well against Tarmogoyf, Kolaghan’s Command punishes hands or buys back all of your effective creatures and Snapcaster does double duty. It makes for a real grind. Sideboarding is similar to how you approach Delver in ways of interaction, without the level of commitment to creature removal. Countering the resolution of Visions is the battle you need to fight, so Pyroblast is essential. So 5-0-2 for the Swiss into third, and off to fight Thomas Sellitto for a rematch of our Top 8 battle at General Games the fortnight before! I’ve written in previous rounds about how 4c performs against Sneak & Show, so see up for details. Unfortunately things did not bode well for the good guys. Tom insisted on Showing me something I wasn’t overly keen to see, and despite me trying to Forcefully decline twice his invitation to allow me to place something on the table, he insisted with two forces of his own that Emrakul must rule the day. I had to Toxic Deluge for fifteen and take myself to one, locking me out of fetching anything further and soon lost. 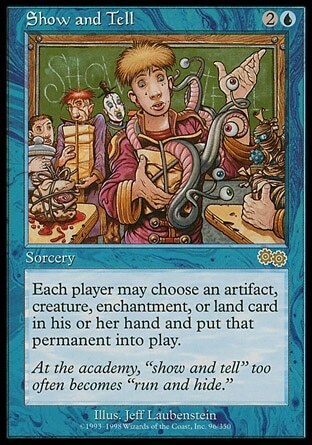 So coming in 5th-8th and finally being defeated by the power of the Show and Tell archetype, the day was over. I was somewhat disappointed in the final bash down, but hey, Magic’s Magic. The day was great and the turnout was fantastic. I hope this was an enjoyable read and any feedback would be greatly appreciated. A huge shout-out to the Legacy community for the attendance, and just the overall camaraderie of people throughout the day.